In this powerful book Martin Lowenthal leads a journey to the very heart of spirituality, a journey of acceptance and aliveness through affirmation. By affirming what is in our hearts, writes Lowenthal, we embrace our aliveness and the reality of life in the moment. And only through acceptance, openness, and affirmation can we ever really be present and complete. 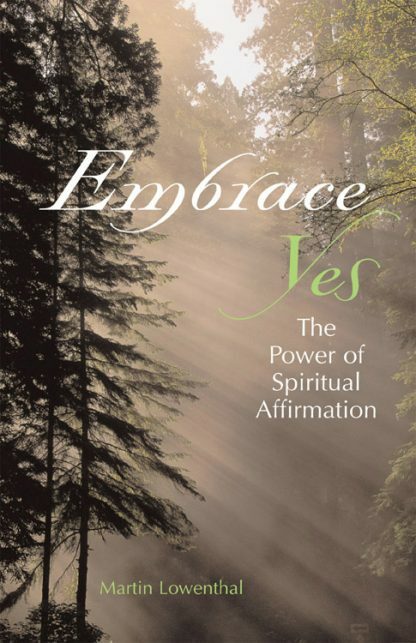 Poetry, fables, and religious teachings drawn from many different traditions are presented in short sections designed to give readers the opportunity to meditate and reflect on the wonderful aliveness of affirming reality as it is now, and living with an attitude of Yes.